Learn how to make beautiful and nutrient dense raw vegan meals and platters. Raw vegan food is entirely plant-based and uncooked so as not to destroy the all-important nutrients that nature has provided. Written by Scott Mathias. Paperback. 171 pages. Beautiful colour photography. 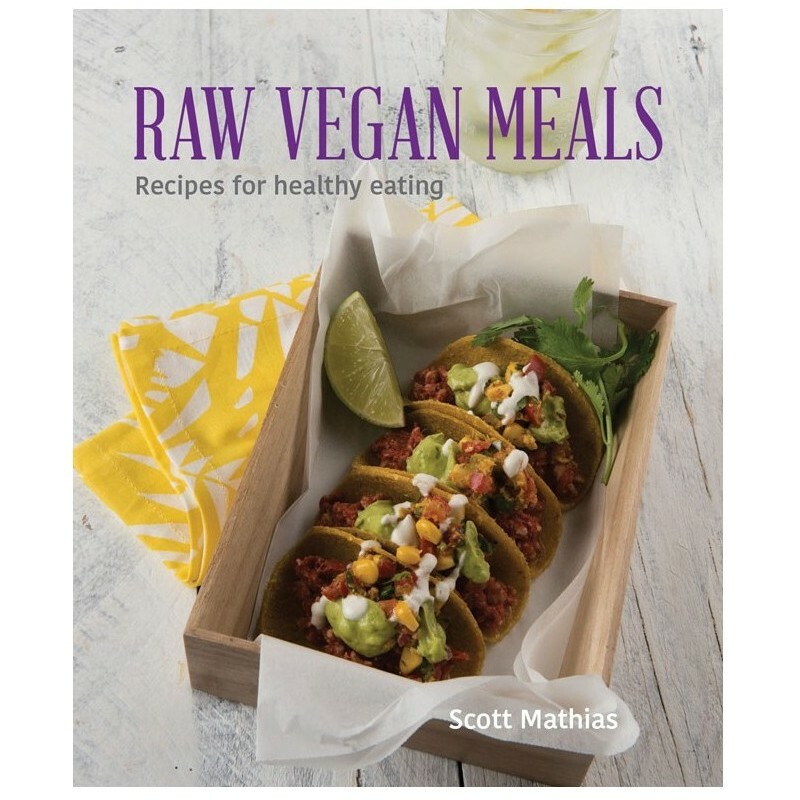 In this recipe book, Scott shows you how to create delicious meals that are all raw and vegan-friendly in an easily accessible way. The meals are designed as a menu of small bites all themed around an international cuisine, plus mouth-watering dessert recipes and sauces that will form the base for many a meal. Beautifully presented, these recipes will inspire everyone to try a raw food diet, whether it be for one day a week or for the rest of your life. Written by Scott Mathias. Paperback. 171 pages. Beautiful colour photography. Dimensions: 25.5cm x 21.5cm x 1.5cm.